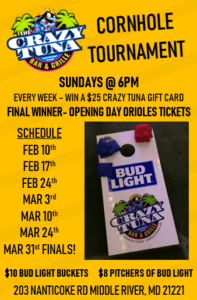 Bring your team to Crazy Tuna every Sunday @ 6pm! Chance to win $25 gift card every week. Final winning team wins Tickets to Opening Day!